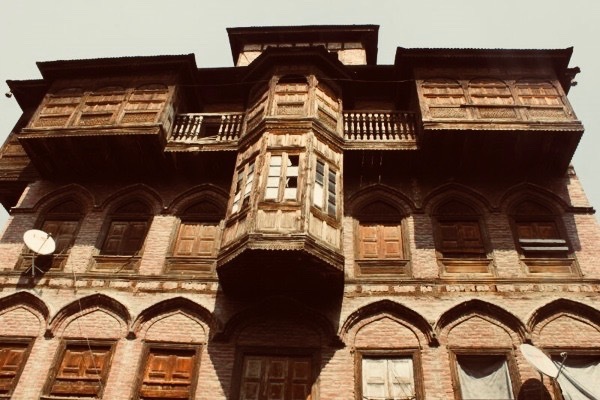 Houses in Kashmir, almost always, have an attic. The attics, however, don’t really have a purpose. I doubt while building a house anyone in Kashmir stops and thinks, “Now that we have stacked five rooms on five rooms, why not have a nice dark attic!” No, that’s not how I think it works. It’s mostly a necessity. Or call it an accessory if you may. It’s rather simple. To fend off snow, houses need a slanting roof. What goes beneath the slant and above the rooms, I propose, is an attic. That’s the closest I can get to a working definition of an attic in Kashmir. However, despite this innate purposelessness of the attic, it is also a place that goes on to serve more than one purpose. From storage-space that accommodates all the discards of the house to a small personal museum of its members, attics are as mysterious as they seem and sound. In fact, I would go on to say as mysterious as memory itself. This is probably why I love to say that in the attic of my memory, lives an attic. This memory of the attic that lives in the attic of my memory is marked by a signpost, the huge cylindrical plastic water storage tank. You climb into any attic these days and you will bump into one of those. Like people store dry vegetables in attics, it is the same with water. There is probably nothing that an attic cannot store. My earliest memories of the attic are leaning against the shiny black coated plastic tank and trying to make sense of the world I had been thrown into. It was a time when old Panasonic tape recorders, Philips radio sets, overweight black and white televisions, and scores of magnetic cassettes were the newest discards finding their way to the attic with me. Newspapers and old notebooks had been constants. It was still at least a decade before video games and colour television sets would join in. As I turned seven, I started to spend more time by myself under the slanted metal roof. Except for winters, it used to be pleasantly warm in the evenings. I would climb upstairs and as soon as I set foot in the attic, I disappeared from the radar of all the elders. I could spend hours here and no one would bother me, except maybe for an occasional someone-crying-out-my-name coming from what seemed like a far-off galaxy but was just two stories below. Adults, I learnt, will never climb the stairs. They will reach the staircase and scream your name in all the directions. It was the first in a series of discoveries I made about them which made living with them easier. Retrospectively, when I think about it, it wasn’t really the seclusion of the attic that seduced me. It was anarchy. It was my piece of land where no rules ruled and imagination could flutter to anywhere. As a child, you ever sat at the dining with your parents and started to drift away to that magic locker you thought could produce anything you wished for and your parents snapped at you and told you to finish your meal? No, they couldn’t do that in the attic. It was not in their jurisdiction. Here, they couldn’t control your thoughts. The only other place as anarchic as an attic, I would say, is a playground. In this, and in much more, attics are to minds what playgrounds are to bodies. You flex your muscles, you roll your knuckles, you sweat your glands, and you feel better coming back from the playground. You let your imagination run wild, you read the secret words, you cry your eyes blind, and you feel good walking down from the attic. The anarchy of the attics, I learnt later on in life from a film, has something more to do with Kashmir. The opening scene of Haider, the encounter scene, uses the attic as the place where the militants are hiding. It is from here that they launch the initial assault. Even though militants hardly ever hide in attics in Kashmir, in the film the attic does serve as an anarchic space where they would retreat to. It is like space where sovereign laws don’t exist, and any attempt to breach the space by outsiders can result in nothing less than violence. At another place in another film, it is the cultural norms that take a backseat when an attic comes on-screen. In Rockstar, Heer is about to get married and she is meeting her friend Jordan in the attic of her family house in Kashmir. In keeping with the accepted cultural norms, they are just talking. And then the hug comes in and all the cultural norms are shattered. It is from here that the shift in the plot takes place. If my life were a film similar to these and it had to have an attic scene, you would find me as a teenager sitting in a corner in the attic cutting out pictures of protests from newspapers and magazines to add to my collection and you would hear teargas shells being fired one after another on the streets outside. One evening in the attic, I counted 72 shells in an hour. It was like a heartbeat. You need a certain number of beats per minute.